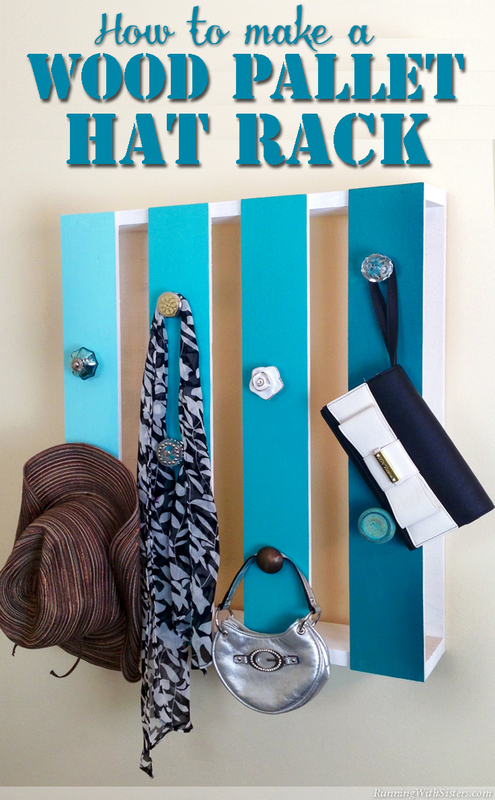 Here’s a chic and easy pallet project. You can use a real pallet, but we found ours at Michael’s. It was smaller and easier to handle than the real deal. 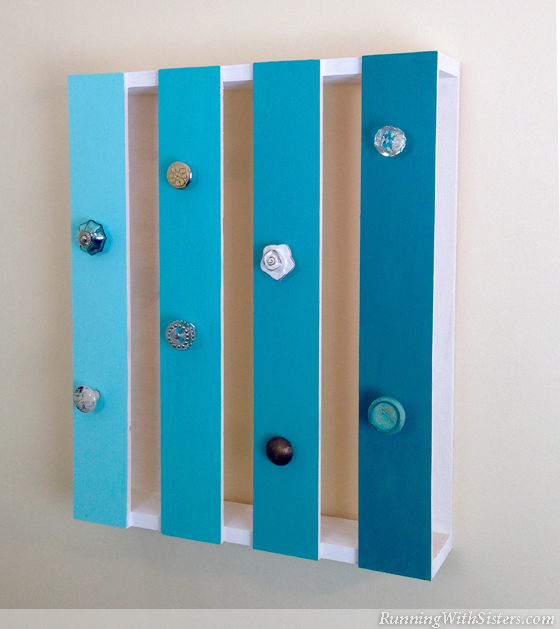 We painted it ombre and added vintage style knobs to give it an upcycled look. If you give it a try, let us know how it turned out! 1. Sand edges of pallet. Paint entire surface with Gesso Primer and let dry. 3. Remove masking tape. Seal with Satin Finish. 4. Pre-drill holes and screw on knobs. 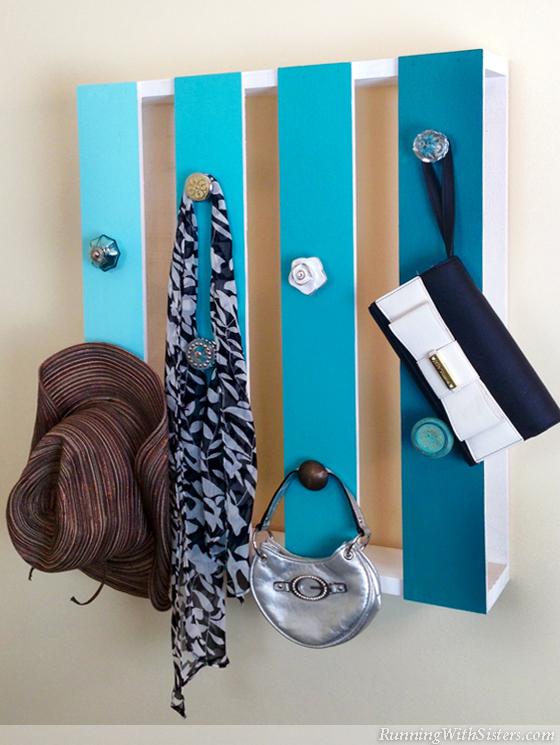 We hung ours by the front door and use it for purses, scarves, and hats! I really like the look of this! It then occurred to me the waste of space between the wall and front pallet board. It would be so hand to have shelves in there to store homework books etc and hooks on the sides for keys. It had alot of potential!